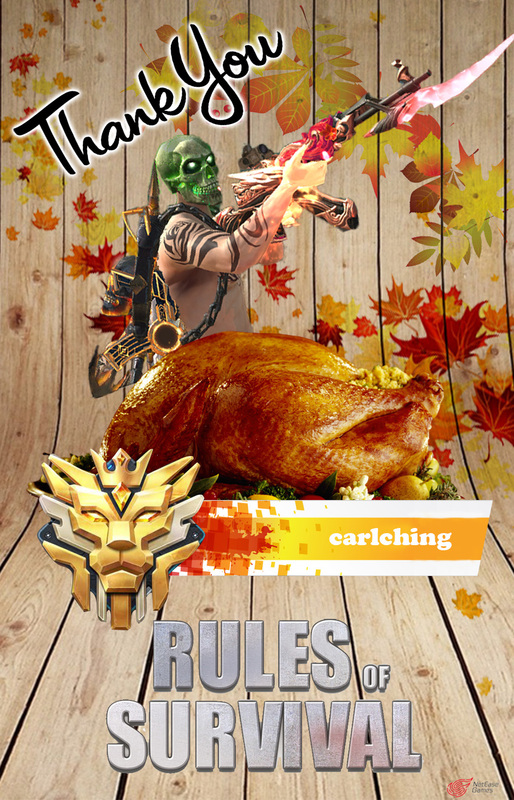 Rules of survival»Game Forum › Discussion Area › RoS Thanksgiving Contest › RoS Thanksgiving Contest! Happy Anniversary & Thanksgiving Rules of Survival, keep up the good work devs/mods for making improvements and for keeping this community clean, thanks for banning cheaters! Cheers!